Gary, I included articles in my previous comment that state why I don’t side with liberal scholarship [regarding the non-eyewitness authorship of the Gospels]. I don’t accept those other views you just mentioned blindly either. If I didn’t think gravity was a real thing, I wouldn’t accept it. But based on the evidence, I believe gravity is a real thing. At the same time, rejecting the liberal view on Gospel authorship isn’t outlandish like rejecting gravity or a round earth. There are legitimate reasons for holding to eye-witness testimony (see Richard Bauckham, Larry Hurtado, Peter Williams, or N.T. Wright). Based on the evidence they put forth, I’m persuaded its more likely that eye-witness testimony stands behind the Gospels. I’d like to know why you reject eye-witness testimony to the Gospels. What evidence do you look to for your conclusion? The idea that the consensus scholarly position on the non-eyewitness authorship is a “liberal” position is false, Ryan. This consensus position is the position of ALL scholars except a small minority who consist almost exclusively of evangelicals and fundamentalist Protestants. The overwhelming majority of Roman Catholic scholars agree with the majority position. Who can credibly accuse Roman Catholics of having a bias against miracles or the bodily resurrection of Jesus? These Roman Catholic scholars have no bias against the supernatural yet they agree with the majority that the evidence indicates that the Gospels were authored by non-eyewitnesses, non-associates of eyewitnesses, living several generations after the death of Jesus. 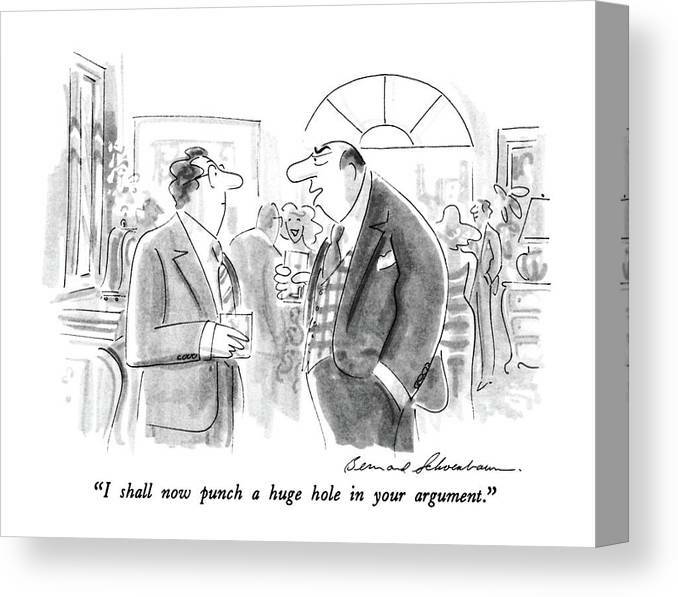 I accept the consensus expert opinion on ALL issues in which I myself am not an expert. I accept heliocentricity, the law of gravity, the age of the universe, climate change, etc., etc.. I think it would be foolish for me to try to read up on these subjects and then take a position contrary to that of the consensus of experts. No matter how much I study, I will never have the insight that the experts do. This is why I also accept the majority expert opinion in New Testament scholarship. I accept the scholarly consensus that Jesus was a real historical person, that he was crucified by the Romans, and that shortly after his death some of his followers believed that he had appeared to them in some fashion. Are you a New Testament scholar, Ryan? If not, why do you side with a small minority of experts, almost all of whom belong to one branch of Christianity? Is it possibly because you so very much want the minority’s position to be true?? For you to tell me that you have studied this issue and feel you know better than the consensus position of experts is no different than if your neighbor (who is a climate change denier) tells you that he knows more than the consensus expert opinion on climate change because he has spent several years reading some books and studying some articles on the internet. Is that really wise? Conservative Christian Blogger: [W]hen it comes to the gospels, there are huge double standards. They are often presumed to be guilty until proven innocent. Normal ways of doing history seemingly get thrown out the window. And a big example of this is when it comes to the debate [regarding the] authorship of the gospels. We have very good external evidence that the gospels were written by the names traditionally ascribed to them — Matthew, Mark, Luke, and John. Gary: It is true that several second century Church Fathers such as Justin Martyr, Irenaeus, Clement, and the author of the Muratorian Fragment all indicate their belief that the Apostle Matthew, John Mark, Luke the physician, and the Apostle John wrote the Gospels, but the question is, why? We have no good evidence that any of these men ever met one of the apostles. So where did they get their information? Notice that among these Church Fathers listed above, Justin Martyr was the closest to the events in question but he wasn’t even born until the second century! Is it possible that all these men believed in the apostolic authorship of the Gospels based on one source: Papias? Many scholars suggest this is the case. And how reliable a source was Papias? Papias admits that his sources were not eyewitnesses, but the disciples of the disciples of the eyewitnesses. How reliable is third hand information? In addition, we have statements of “eyewitness testimony” from Papias which are clearly fictional: He believed that Judas Iscariot’s body parts swelled up so big that he could not pass through a city street. Eusebius questioned the intelligence of Papias. Papias was also known as a mystic. Does he sound like a good source upon which to base one’s belief in the apostolic authorship of the Gospels? And what about your claim that Irenaeus was a disciple of Polycarp who was a disciple of the Apostle John? Well, that is a very contested claim! 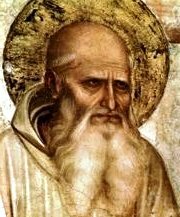 No where does Irenaeus or Polycarp claim that Polycarp was a disciple of “the Apostle John”. What they state is that Polycarp was a disciple of “the Elder John”. Who was the Elder John? Answer: No one knows for sure. Some believe that he was the Apostle John, but others, including prominent conservative evangelical Christian New Testament scholar, Richard Bauckham, believe that John the Elder was a former Jewish high priest in Jerusalem who became a disciple of Jesus…but he was NOT John the son of Zebedee (the Apostle John). So how good is the evidence that Polycarp was a disciple of John the Apostle if even evangelical scholars contest that claim? Yes, several second century Church Fathers believed that the apostles authored the Gospels, but just because they believed that, is it true? The real problem for your argument is not that the majority of liberal, atheist, and agnostic scholars doubt the apostolic authorship of the Gospels, but that the majority of Roman Catholic scholars doubt the apostolic authorship of the Gospels. No one can credibly accuse Roman Catholic scholars of a bias against the supernatural or for having a double standard for the writings of Christianity. So why would so many Roman Catholic scholars, with the tacit approval of very conservative popes such as John Paul II and Pope Benedict, hold such a position if they did not feel that that is what the evidence indicates? THAT is the biggest problem for your argument that the majority consensus of scholars on the non-eyewitness authorship of the Gospels is based on a double standard or a bias. In fact, the evidence for a bias points in the other direction: The only scholars, with few exceptions, who hold to the traditional apostolic authorship of the Gospels are very conservative evangelicals and fundamentalist Protestants. Why is that?? 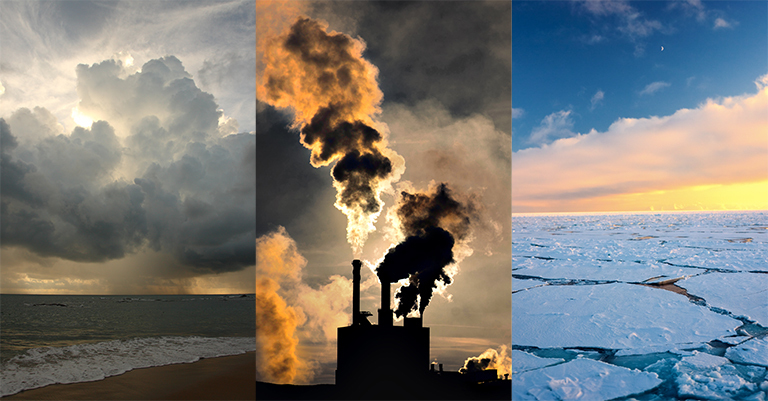 Dear conservative Christian, do you believe in climate change? The overwhelming majority of scientists do. Some conspiracy theorists believe that this majority expert opinion on climate change is due to a bias. These conspiracy theorists believe that the overwhelming majority of scientists are left wing, fanatical environmentalists who have “cooked” the evidence. Climate change is not real, they say. It is the invention of biased liberal scientists. The problem for conspiracy theorists is that not all scientists are left-wing environmentalists. In fact, there are plenty of scientists who are politically conservative. Yet even the majority of politically conservative scientists believe that climate change is real. The fact that the consensus position that climate change is real is held by scientists across the political spectrum is evidence AGAINST the conspiracy theorists’ claim that climate change is a left-wing environmentalist lie. And we find the same situation with the authorship of the Gospels. Many conservative Christians believe that the majority expert consensus position that the Gospels were not written by eyewitnesses or the associates of eyewitnesses is based on a bias. These conservative Christians believe that the majority of New Testament scholars are liberals, atheists, and agnostics who are skeptical of or deny all supernatural claims. The problem for this argument is that it isn’t just liberal, atheist, and agnostic scholars who believe that the Gospels were written by non-eyewitnesses, in lands far away, several generations removed from the alleged events described in the Gospels. The overwhelming majority of Roman Catholic scholars agree with the consensus majority position. Can anyone credibly claim that Roman Catholics have a bias against the supernatural?? So, what we find is that a broad range of New Testament scholars reject the traditional/eyewitness/associate of eyewitness authorship of the Gospels. And this expert majority includes many scholars who very much believe in the supernatural, miracles, and the bodily resurrection of Jesus! This fact speaks against the conservative Christian claim that the majority scholarly position on the non-eyewitness authorship of the Gospels is based on a bias. What is the Difference Between a Witch Doctor and a Conservative Christian Apologist? Christian: God is the uncontingent, uncreated Prime Mover. If you have an argument, Gary, make one. As it is, you seem to hope rhetoric will make your shame over sin go away. Gary: What evidence do you have that your god, Yahweh/Jesus, is the “Prime Mover”? Let’s see if you can back up your bold claims with more than just a lot of huffing and puffing. Oh how the self-righteous conservative Christian loves to call down the wrath of his/her imaginary god upon us poor skeptics. It makes them feel sooo good. When one of these condescending, arrogant, wind-bags pulls one of these “My god is going to get you” lines, I like to point out to them just how absolutely ridiculous their behavior is. 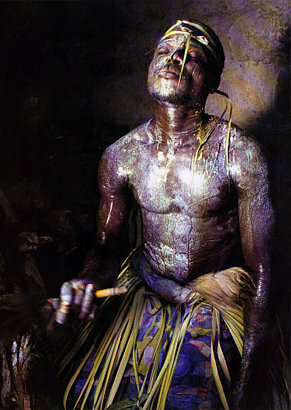 I like to point out to them that I see their behavior as no different than that of the witch doctor in the deepest jungle—shaking his tom toms and burning incense while furiously pronouncing an evil spell upon the skeptical westerner (who is trying to keep from laughing) who has dared to question the witch doctor’s supernatural powers. I see no difference between these two purveyors of silly superstitious nonsense. The fundamentalist/conservative western “preacher” should be given no more societal respect and deference than the practitioner of voodoo above. They are both peddling nonsense based on fear. Let us continue our efforts of educating the up and coming generations of young people that there is no difference in the thoughts and behavior of their conservative Christian pastor or favorite apologist and that of a scientifically-ignorant rural practitioner of voodoo. 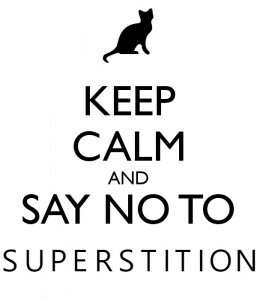 All supernatural beliefs are superstitions. Christian: Gary, it would help if you knew what you were talking about before you decide to speak. Your argument is that your ego is the only foundation you need for your positions? That asking you to have even the slightest idea of what you hate so much and dedicate your life to attacking is just too much for you to bear? …Christianity is a threat to your bland self-worship so you want it de-platformed because you know you cannot answer it. …You remind me of something CS Lewis said, that Good philosophy only exists because bad philosophy exists. Good people understand the Truth implicitly, bad people like you try to lie your way out of it. Therefore Good philosophy is needed to destroy your error. And it does just that. Gary: Just like the Emperor’s tailors who used devious, complicated explanations to silence suspicious skeptics regarding the reality of invisible thread, Christian apologists use complex philosophical arguments to intimidate and confuse suspicious skeptics of their tall tale. Is the use of such intellectual trickery really good philosophy? I tell you this, my Christian friend: Just as the child in the Tale of the Emperor’s New Clothing did not need to understand anything about thread and fabric to recognize that the Emperor was not wearing any clothes, neither does a skeptic need to understand even the most basic principles of philosophy to recognize that virgins are never impregnated by ghosts; humans never walk on water; and three-day-brain-dead corpses never escape their tombs to later levitate into outer space. I am not engaged in a willful temper tantrum against your imaginary god. I am engaged in one of the greatest movements in the history of humankind: the debunking of religious superstitions, in particular, yours! Are Supernatural Tales Written Decades After an Alleged Event by Anonymous Authors Good Evidence? We have evidence of resurrection appearances, we don’t have evidence for any of the other theories [for Jesus’ empty tomb]. Independent sources, like the M material, L material, Paul and John’s independent material. Must one have confirmatory evidence for a suspected explanation for an odd event before including this suspected explanation in one’s list of most probable explanations for the odd event? No. Crime detectives do this all the time. What is necessary, however, is to include only those possible explanations which are consistent with the available evidence. Why can’t Christians understand this simple point?? Just because we have no confirmatory evidence that a human being(s) moved the body of Jesus of Nazareth from his tomb does not preclude exactly that explanation as the cause of his empty tomb! The explanation that someone moved the body does not contradict the available evidence. Is this true, dear Readers? If Christians could demonstrate that they truly do possess multiple, confirmed, corroborating, uncontested, eyewitness accounts of people claiming to have seen a walking/talking resurrected body, then Christians would be correct. The problem for Christians is that they do NOT have even one confirmed, uncontested, eyewitness account of anyone claiming to have seen a walking/talking resurrected corpse! 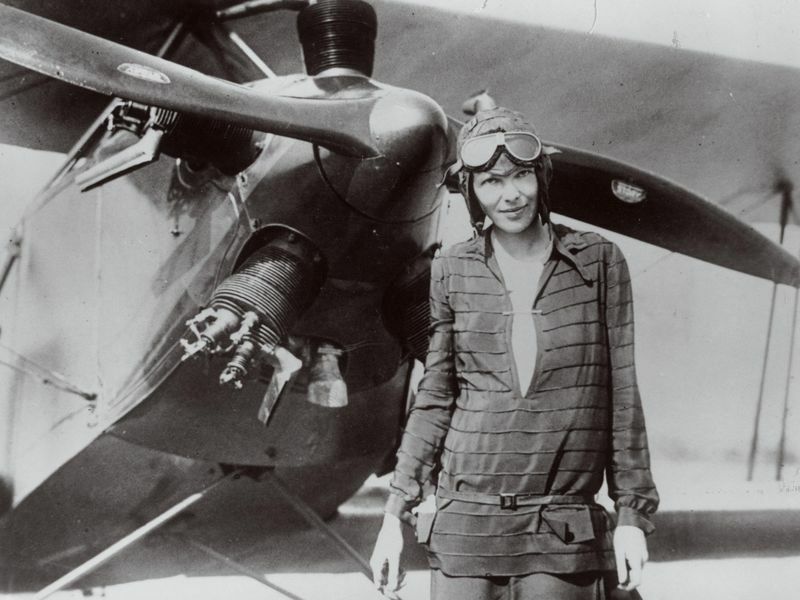 On July 2, 1937 the plane of Amelia Earhart disappeared in the South Pacific. 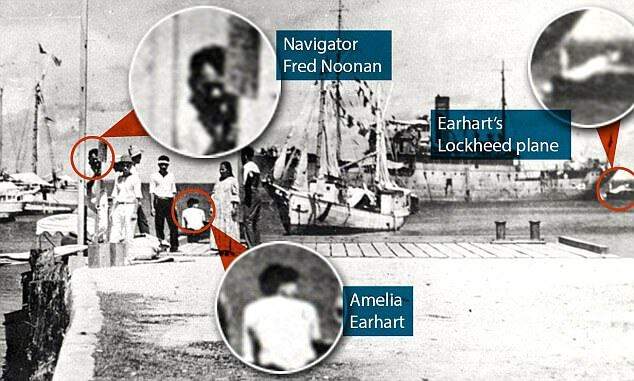 Within weeks after the disappearance of her plane and presumed death, stories began to spread among villagers of several islands in the South Pacific that the dead Amelia Earhart had appeared to multiple people in some fashion. Most of the reports involved Earhart appearing to individual persons, most often chiefs and other elders among the natives. But some reports included stories of Earhart appearing to groups of hundreds of people. 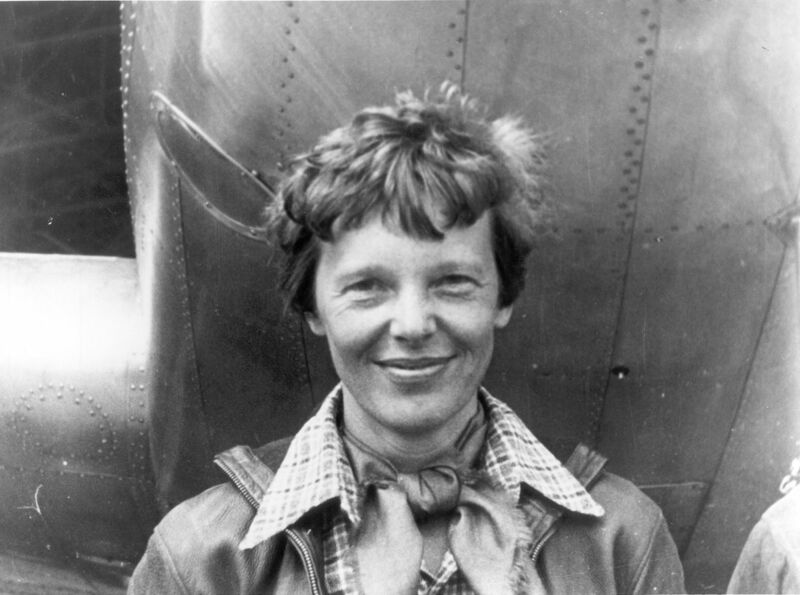 Several decades later, an anonymously authored book surfaced in South America giving a detailed account of Earhart’s crash, death, and hints of post-death appearances to villagers. The book quickly became a sensation among devoted followers of Amelia Earhart. The book claimed that shortly after her crash and death, a supernatural being appeared to a group of women villagers, telling them that Amelia Earhart would soon be appearing to the villagers, giving them a divine message from the gods. Ten years later, two other books were published about the Earhart mystery, both again anonymously written. These books included detailed accounts of the dead Earhart appearing to groups of people, talking to them, eating with them, and even levitating into the clouds in front of large crowds. 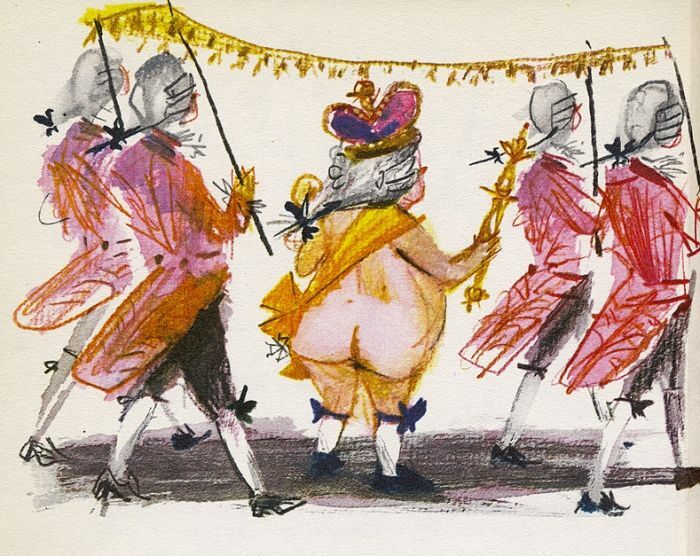 A couple of decades later, a fourth anonymous book on the subject was published. In this book, the villagers are able to touch the body of the dead Earhart to examine her injuries from the plane crash! Since the publication of these four books, hundreds of thousands of people all over the world have come to believe that Amelia Earhart came back from the dead and appeared to hundreds of villagers on several islands in the South Pacific. Question: Is any of this sufficient evidence for any intelligent, educated person to believe that the dead Amelia Earhart really did appear to hundreds of villagers in the South Pacific over 80 years ago? Must One Have Confirmatory Evidence for Every Possible Explanation for an Empty Tomb? Do you have any proof of these alternative [natural] explanations for the empty tomb of Jesus? No? Must we just take it on faith? 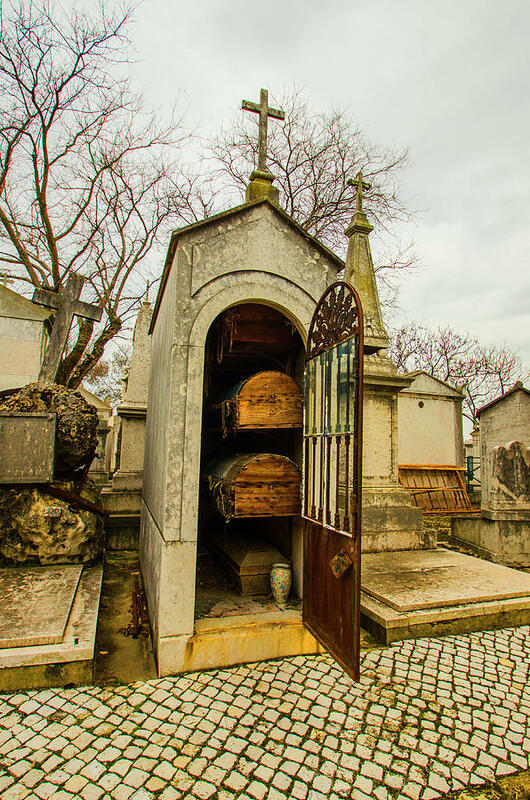 The door to the mausoleum of John Doe is found open one morning and the body of John Doe is missing from his casket. There are no footprints or fingerprints. What is the cause of this empty tomb? In our investigation into the cause of the empty tomb of John Doe, are we limited to only those possible explanations for which we have confirmatory evidence? In other words, are we prevented from suspecting that a human being opened the mausoleum and took the body just because there are no footprints, fingerprints, or other evidence of a human being’s involvement in this event? So why do Christians use the same silly logic when discussing the possible explanations for the empty tomb of Jesus of Nazareth??? Just because we have no confirmatory evidence that a human being took the body of Jesus from his tomb does not rule out the possibility that a human being did take the body of Jesus and that this is the cause of the empty tomb of Jesus. It just baffles me why intelligent Christians continue to use this very illogical objection to the many plausible naturalistic explanations for the empty tomb of Jesus.